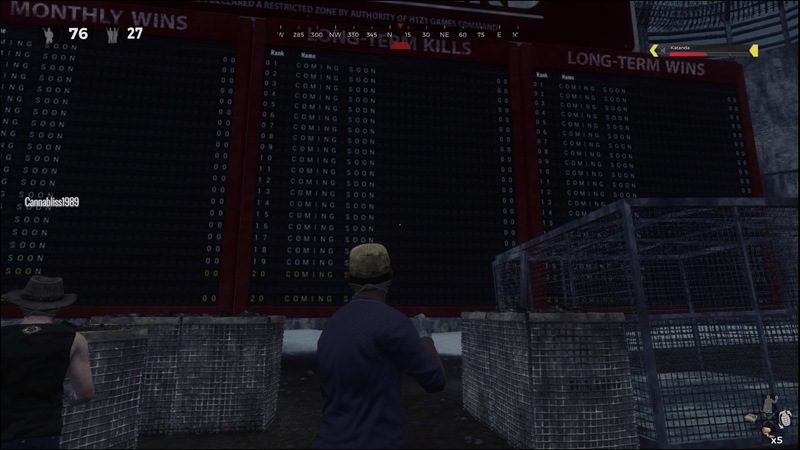 I’ve been trying to put my finger on why I am enjoying H1Z1 on the Playstation 4. Is it the graphics? No, those are relatively standard for a game of this style and mostly subpar in the greater scheme of the Playstation. Is it the streamlined controls and faster paced action than its PC counterpart? We’re probably getting closer. Is it the fact that I can get through a match, kill seven people, and actually have a fleeting shot of winning? Absolutely. Competence goes a long way toward enjoyment. 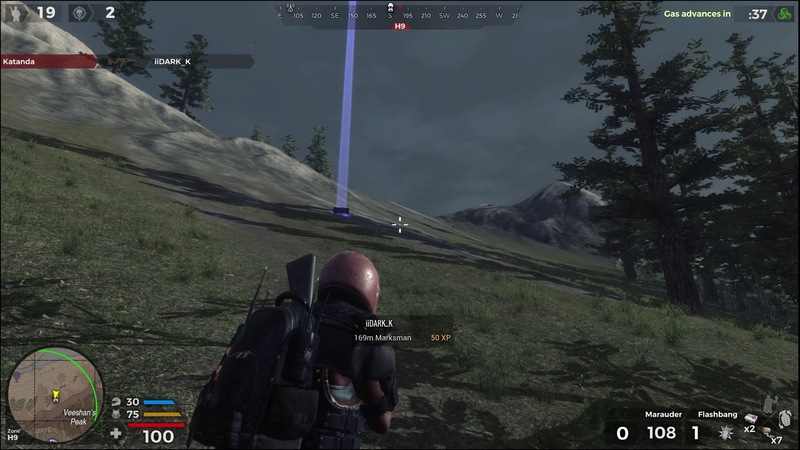 H1Z1 is a battle royale game from Daybreak Game Company, originally released on PC and now ported over to PS4 sans its survival mode counterpart. The PS4 version down to its fundamentals is a port of the PC copy but with a lot of the intricacies stripped out. Gone is crafting, your inventory, weapon attachments, and more. What’s left is a survival mode shooter that will likely make you happy that the game isn’t pulling such complicated systems in a rather fast paced game and handing you a controller to fumble your way through it. 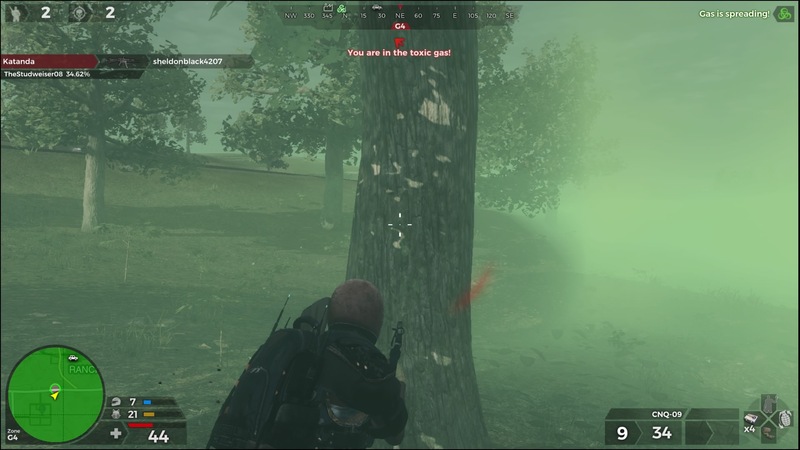 For those of you who have managed to avoid this genre, I’ll go over the details: H1Z1 throws up to 100 players on to an island littered with weapons, armor, and vehicles and has them battle it out to the last remaining survivor. You and 99 players are essentially thrown into an arms race where you try to build up your offensive and defensive power by raiding the numerous towns, houses, and camps that litter the landscape. As the match progresses the playable area gets smaller as a toxic gas slowly encroaches upon players. This ultimately leads to each map starting of slow, watching players get picked off, and ending with just a massacre of the remaining players as they all get grouped up into the last remaining safe spaces. As a genre, the battle royale game mode is all about your experiences and how you experience the game is directly related to whether or not you enjoy it, and how much. Combat is fleeting so there tends to be more memorable moments of survival or failure, like the time I hunkered down in a gas station and wound up taking out six players before being forced out by the toxic gas, or the time I parachuted into the world only to immediately have my brains blown out by some guy who found a pistol seconds before I did. Victory, while likely more common in group games, always seems to have a memorable story behind it of you and the other last remaining dude or dudette battling it out in the toxic fog. Controls and handling in H1Z1 is pretty unique compared to other shooters on the platform. Guns are tight and control pretty much how you would expect for a third person shooter, but vehicle handling is all over the place thanks to a rather wonky physics system. You’ll be spending a fair amount of time driving in a vehicle, so getting used to the loose turning is going to be necessary for survival. 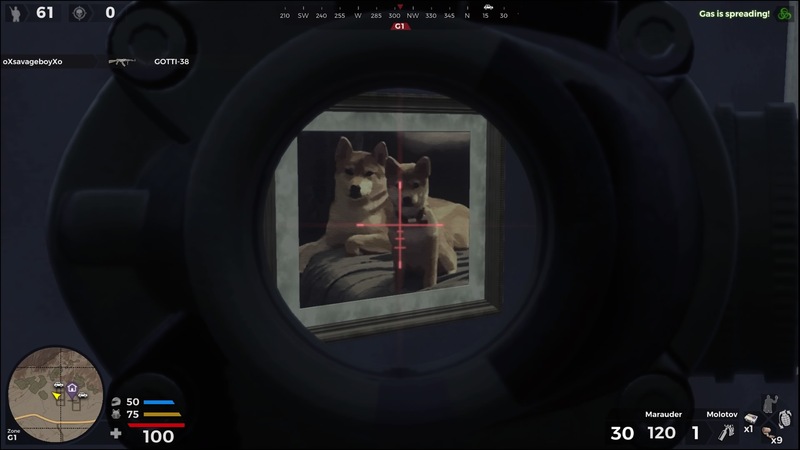 What makes the gunplay so special in H1Z1 is that the game is very straight forward in how it plays. There is a large enough variety that you’ll inevitably find your favorite close and long range weapons, but basic enough that you’ll figure out what each weapon does within the first few games. Weapons are familiar enough that you’ll know how they work: Pistols can shoot faster but do less damage, or slower and be more powerful. Shotguns are killer at close range while SMGs shoot fast to make up for their lack of punch. The only wacky weapon that H1Z1 really has to offer is the crossbow that shoots explosive arrows, great for area of effect damage or destroying a moving vehicle. Equipment you pick up is also huge for your survival. You will find basic helmets and makeshift armor everywhere, with higher end military gear available only from caches that dot the landscape. You can also find backpacks that let you carry more weapons and combat boots that let you run faster. Microtransactions come down to cosmetics which in turn act sort of weird. You can buy gold and then spend said gold on loot crates or earn them through gameplay, and those crates in turn unlock cosmetics for various weapons/equipment that effectively override your current default. How does this work in a game where your items are all found throughout the world? I’m glad you asked. When you equip said item, the look gets overridden to your default. Simple as. 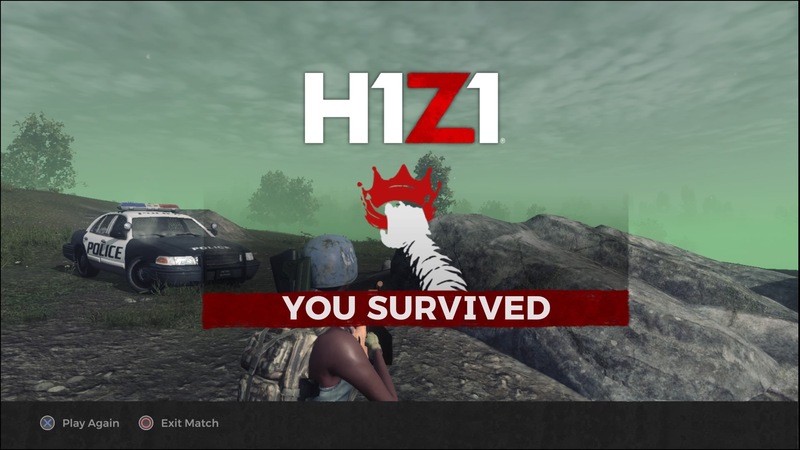 End of the day, I feel like H1Z1 is a game that people will either hate or they will love, until they hit three bad games in a row of dying within three minutes of landing, and log off to stop themselves from angrily throwing their controller through the television, and come online to finish the beta review that they should have done two days ago.